I have always had a soft spot for traditional teddy bears and Oscar has always been one of my favourite designs. He was commissioned by Crochet Now magazine for their toy supplement cover gift for issue 3 and since then I have been promising myself I’ll release the pattern. Oscar is designed to be suitable for beginners, you’ll need to be able to work into a ring (the pattern specifies working into a magic ring, but you can substitute a “make 6ch, join with a sl st to make a ring” if you prefer (in fact, that’s the technique I used to make him, but the magazine’s tech editor insisted that a magic ring was the method readers were used to and so she changed it. 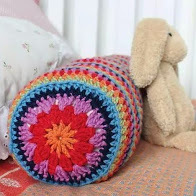 To be honest, I’ve always believed crocheters use their favourite techniques and it’s up to you to find out which you prefer! I used a gorgeous British wool from West Yorkshire Spinners, but you can substitute any yarn of your choice. 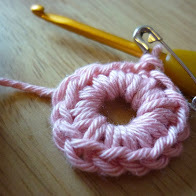 For a similar finished size, choose a double knitting weight and a 3mm hook. You can use oddments of yarn to make the clothes. Oscar is stuffed with a polyester toy stuffing, but my preference now is for a wool fibre, the end result will be the same. You can buy a pdf of the Oscar bear crochet pattern on Ravelry, or Love Crochet. 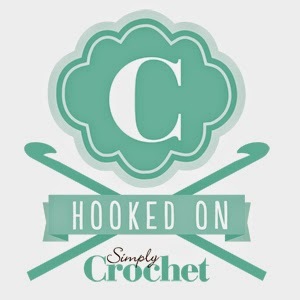 If you need some reminders of basic crochet techniques, you can find some helpful videos and links to instructions here.